It was a night of hotel industry glamour at The Cordis, Auckland tonight. 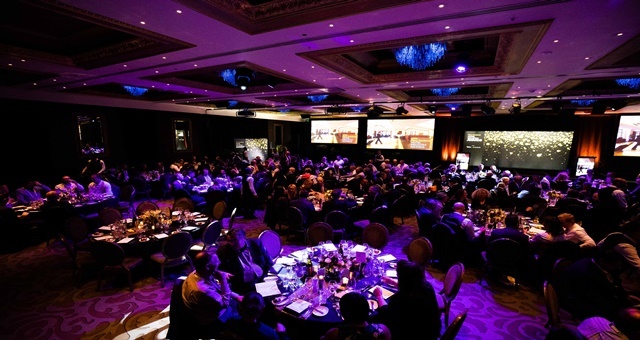 Dressed in their resplendent best, nearly 650 members of the New Zealand and Australasian hotel industry descended on The Cordis, Auckland on Thursday evening for the sold-out 2018 New Zealand Hotel Industry Awards, which recognised the best performers in the region’s accommodation sector. It was a night of firsts, from a new award being bestowed on a worthy recipient for the first time to a remote region of the country – before tonight never even having been nominated – not only named as a finalist but bursting onto the scene and claiming a quarter of the entire night’s accolades. The Franz Josef region was the feel-good talking point of the evening, taking home General Manager of the Year, Food and Beverage Employee of the Year and Regional Hotel Employee of the Year. Whatever they’re now doing on the western side of the South Island, it’s working. Sponsored by Scenic Hotel Group and jointly hosted by Tourism Industry Aotearoa Hotel Sector and Horwath HTL Ltd, the awards also attracted a record number of entries and closed a captivating conference which focused on how New Zealand’s regions can increase their growth rates by encouraging visitors to spend more time and money exploring and experiencing more remote parts of the country. A key message was that as visitors embark further off the beaten track, regional hotel developments will in turn become more attractive to property developers and investors. Tourism Industry Aotearoa hotel sector manager Sally Attfield beamed at the overall success of the conference and awards dinner. “The organisers are delighted that both the conference and awards are attracting such strong support from the hotel sector. It shows that hotels are keen to learn and develop, to network with their peers, and celebrate their success,” she said. Horwath HTL Ltd Director Stephen Hamilton said the decisions on who was best fitting of each award for 2018 had never been more difficult to make. “The calibre of the finalists and winners shows our hotel sector is in good heart and is providing people with excellent career opportunities across a range of disciplines,” he said. Key criteria in selecting the winners included positive feedback received from guests, loyalty to their employer, commitment to ongoing training and development, plus personal attributes including personality, problem-solving ability and anticipation of guest needs. Kathy Guy, Group General Manager of the Chateau Tongariro Hotel and the Wairakei Resort Taupō. Hotel Industry General Manager of the Year, sponsored by AHS Hospitality.